Taipei, Taiwan : New hi-tech products were introduced in the first week of June at the Computex Information and Technology Show in Taipei. 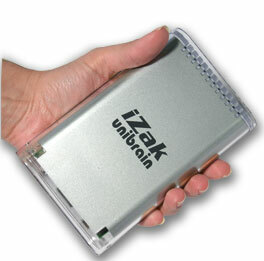 As technology innovator, Unibrain attended as usual such an event, and was this year presenting its latest and unique iZak™ Portable Multimedia Center in Hyatt’s suite 1035. 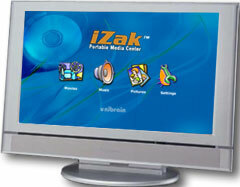 Follow this link to view the iZak™ web page. After having met Unibrain’s Managing Director George Zachopoulos on the show, Macpower’s Managing Director Tommy Chen declared being impressed by the capabilities of iZakT and very eager to become an OEM. 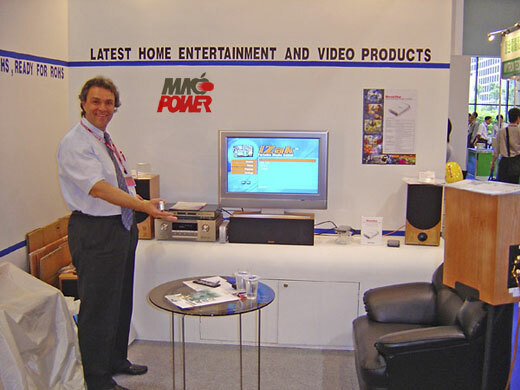 A major deal was closed shortly after between Unibrain and Macpower, about the purchase by Macpower of a huge amount of OEM units that will be branded under the name MovieStar. About Macpower : Macpower Peripherals Ltd of Taiwan was established in 1992 with the goal of designing and manufacturing high quality, innovative external storage cases for the Mac and PC computer markets. Design, R&D, Surface Mounting Technology, product assembly and even cable construction are all completed in house under strict quality control. Superior technology, innovative and functional designs with over 10 years of experience in the field assure top quality products. About Unibrain : Unibrain is a global leader in the development of FireWire (IEEE-1394) hardware and software solutions, and offers a complete line of FireWire computer and consumer products for a wide range of applications. Unibrain has been an active member of the 1394 Trade Association since 1997 and continues to play a vital role in the advancement of FireWire technology. For more information call +30-1-6640600 (Unibrain S.A. Europe).